IRS Standard Mileage Rate applies to all notorial acts outside 5 miles radius from our office. For any other notorial act, for certification of a facsimile of a document, proper recordation of the certification (required for each document), ect. Are you selling a WV motor vehicle? We notarize your WV DMV bill of sales after hours 7 days a week! Give us a call! SUMMARY OF RECENT CHANGES TO WV NOTARY LAWS. WV House Bill 4012 - House Bill 4012 enacts the Revised Uniform Law on Notarial Acts (RULONA), comprehensively revising West Virginia’s Notary statutes. HB 4012 contains virtually all of the “stock” RULONA provisions and adds a $1,000 surety bond/errors and omissions insurance/professional liability insurance/commercial general liability insurance requirement for Notaries. HB 4012 also changes the length of the Notary’s commission from 10 years to 5 years. WV Administrative Rule (Seal, Bond, Commissioning) - A new administrative rule clarifies the information that must appear in the Notary’s official stamp, and requirements for the “assurance,” filing a change of name or address and submitting applications for commission renewal. WV Administrative Rule (eNotarization) - A lengthy, new administrative rule published by the West Virginia Secretary of State provides rules to implement the electronic notarization provisions of the Revised Uniform Law on Notarial Acts (RULONA) enacted as House Bill 4012 in 2014. 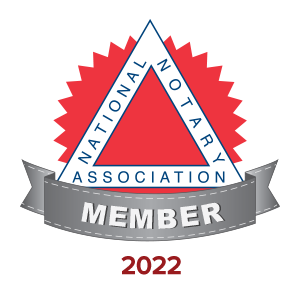 The rules are based on the Model Notary Act of 2010. WV Administrative Rule (Fees) - 153 CSR 50 puts into effect an emergency rule specifying the amount of the commissioning fee for West Virginia Notary Public applicants. WV Senate Bill 3 - Senate Bill 3 enacts the Uniform Real Property Transfer on Death Act, authorizing a property owner to transfer interest in the property to a beneficiary upon the death of the owner through a Transfer on Death Deed that must be notarized and filed in the local land records. WV Senate Bill 582 - A number of states still have an office referred to as “commissioner of deeds,” which here permits the commissioner who resides within or outside of West Virginia to take acknowledgments, affidavits and depositions inside or outside the state if they will be filed or recorded in West Virginia. SB 582 clarifies the elements required to be included in the inking-stamp seal of a West Virginia Commissioner of Deeds. WV House Bill 4390 - West Virginia enacts the Uniform Power of Attorney Act (UPOAA), requiring a power of attorney created under the Act to be acknowledged before a Notary or other officer authorized to take acknowledgments, and providing a statutory power of attorney form.